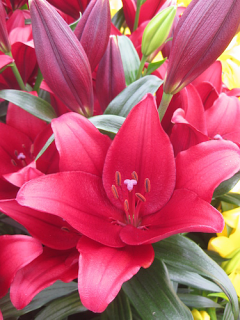 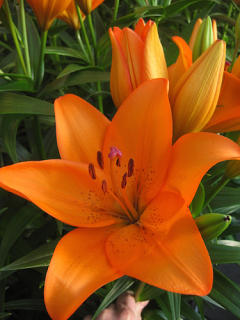 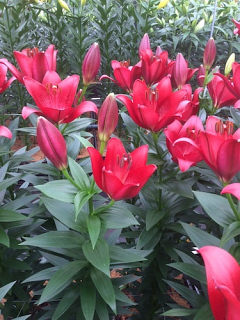 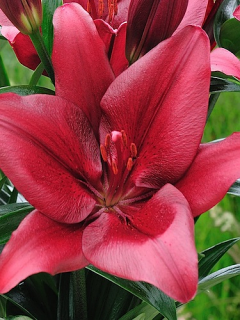 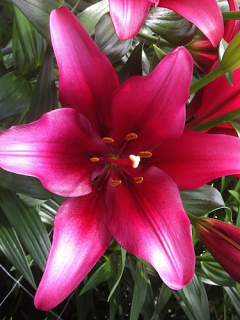 These Longiflorum Asiatic Lilies produce a wide variety of vibrantly coloured blooms that are mostly scented. 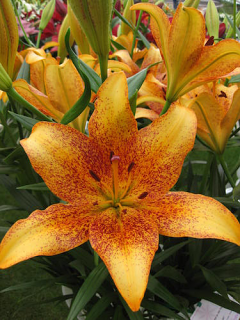 They are lime tolerant and therefore suitable for borders or pots. 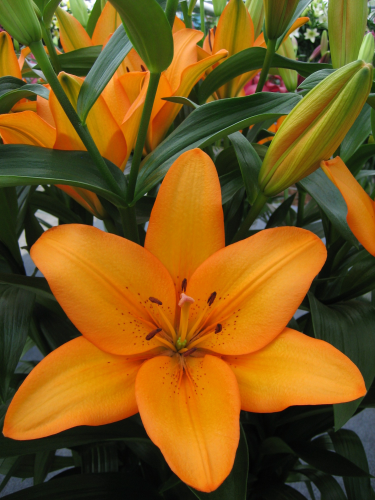 They are easy to grow in Alkaline or Acidic well-drained soils. 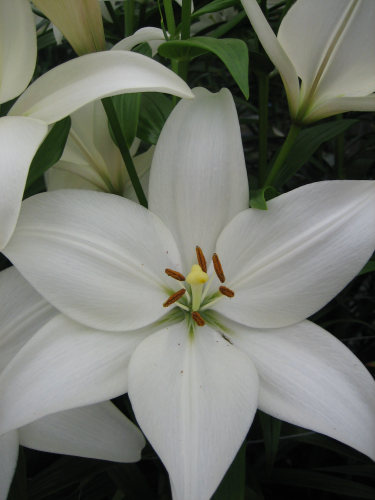 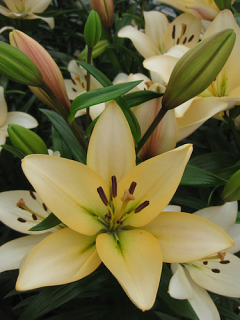 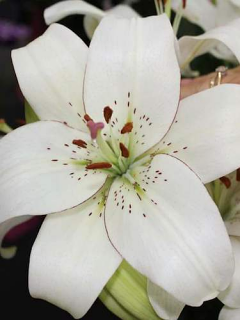 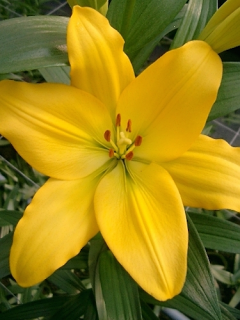 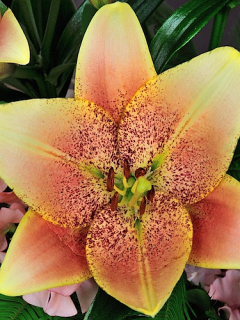 Champion Diamond is a subtle peach - yellow LA lily that will provide a slight scent and will reach up to 100cm tall.